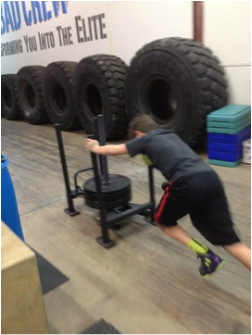 We provide a safe, effective and enjoyable training program for youth athletes. The program focuses on resistance training, education, jumping mechanics, plyometrics, balance skills and corrective exercises to keep the body in balance and injury free. Our aim is to help all youth athletes become the most elite athlete they can be. Overview: This class is designed for youths wanting to develop a strong foundation in both strength and conditioning. Our specialized method of strength and conditioning involves the progressive use of a wide range of resistive loads and a variety of training modalities, designed to enhance health, fitness and sports performance.